We now have a 10% late availability discount on week long bookings for the Easter holidays 2018. Some short breaks available too. Our heated outdoor pool opens for the Easter holidays. Last year we had some great weather over Easter so fingers crossed for the same again. Even if the weather is not so good, the water in our pool is always warm and we also have a hot tub, play area and a games room on site so there is plenty to do. Our cottages are on a rural site with great views over the countryside to the coast. 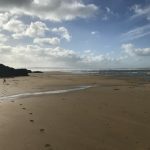 We are close to the small seaside town of Bude and the North Cornwall coast with Widemouth Bay and the beaches in Bude all around a 10 minute drive away. Contact us on 01288 361521 or email enquiries@hiltonfarmholidays.co.uk if you have any questions or if you would like to make a booking. Badger cottage; sleeps 6, available 30/3/18 to 5/4/18. 3 nights £300, 4 nights £400. It is 1st February today and I am so pleased to see the back of January and welcome in some February sunshine! February sunshine. On the beach walking from Northcott Mouth to Bude. I had a lovely, sunny, if breezy, walk on the beach today. Spring is definitely in the air. 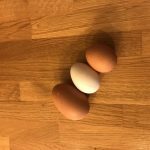 The chickens seem to have noticed the longer days and are busy laying eggs. The first daffodils are appearing and snowdrops are around. February half-term, hopefully with more February sunshine! We have some availability for short breaks over February half-term 2018 if you feel like getting away for a few days. Availability after 12th February. 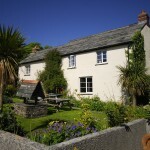 Parsons cottage (sleeps 7) From £320 for 3 nights. 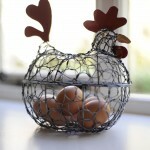 Looking forward to Easter we also have availability and our heated outdoor pool will be open again. Are you looking for a break with family or friends in September 2017? Cornwall is lovely in September, after the summer rush. Explore empty beaches or the coastal path. 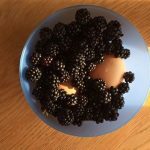 Pick some blackberries from the hedges. Catch some spectacular September sunsets. Hopefully we will see some late summer sunshine! Family cottages – 10% off! We are currently offering 10% off when you book one of our family cottages for a week between 2 and 16 September. We have cottages sleeping 4, 5, 6, 7 and 11. Contact us by email at enquiries@hiltonfarmholidays.co.uk, facebook messenger or call us on 01288 361521 for details. 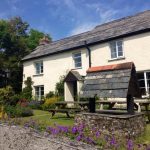 You can find out more about our cottages on our website . Short breaks (minimum 3 nights) also available. Email enquiries@hiltonfarmholidays.co.uk for details. 2-9 September – 1 week NOW £610 (usually £680). 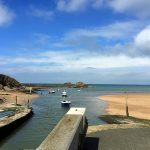 2 September – 16 September 1 week NOW £555 (usually £620). Our beautiful Farmhouse is available from 2 – 16 September. We have a 10% off late availability offer if you book for a week (usually £1600). Our Farmhouse sleeps up to 11 in 5 bedrooms. There is plenty of space for a large group, with two comfortable living rooms, a dining room and separate kitchen. There is a private garden with BBQ. Find out more about the Farmhouse here. The Farmhouse is always popular with larger family groups or groups of friends. Our heated outdoor pool is open until the end of September. We also have a tennis court and hot tub on site, as well as a play area for any children in the group. See some of our reviews on Trip Advisor. Blackberries and eggs from our hens. A September sunset at Hilton. 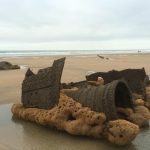 There is lots to do around Bude. The town has two lovely beaches, Summerleaze and Crooklets. Summerleaze also has the Bude Sea Pool. Most local attractions are open in September. Watersports are available at most beaches and on the canal all year round. 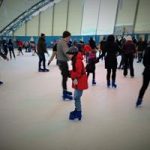 See some of our other blog entries for ideas on what to do in the area. Summer 2017 is getting busy. The larger cottages are now all booked from 22 July till 2 September. We have availability in our cottages for couples. 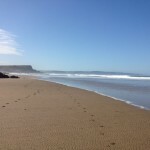 If you are looking for a break in June or earlier in July we have a few cottages available. Check our booking page for availability http://www.hiltonfarmholidays.co.uk/book-online-availability/. Call us on 01288 361 521 or email enquiries@hiltonfarmholidays.co.uk with any questions. Hopefully the weather will be good! Even if it isn’t,we keep our heated outdoor pool open until the end of September. Our hot tub and tennis court are open all year round. Are you looking for a self-catering break over October half term 2016? 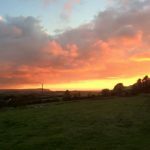 We have cottages sleeping 2, 4, 5 and 6 available on our beautiful rural site near Bude in North Cornwall for the week or a short break (min 3 nights). 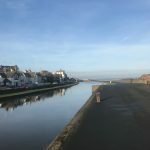 There is plenty to do around Bude with lots of beautiful beaches to explore, watersports, walking and cycle paths. Tintagel, Clovelly and Boscastle are all a short drive away. Further afield the Eden Project, Padstow and Lanhydrock are within an hour’s drive. On site we have a kids’ play area (including football and trampoline), a games room, tennis court and hot tub. ALL FAMILY COTTAGES NOW BOOKED FOR THE WEEK. 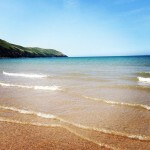 Cottages for two from £180 for three nights. Our cosy cottages are well-equipped and comfortable. 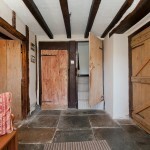 You can see pictures and more details at http://www.hiltonfarmholidays.co.uk/our-cottages/. Available for the week or a shorter break (minimum 3 nights).